select *, DATE_FORMAT(birthday, "%b %e, %Y") as _birthday, DATE_FORMAT(died, "%b %e, %Y") as _died, MONTH(birthday) as month_birth, DAY(birthday) as day_birth, DATE_FORMAT(birthday, "%b %e") as _birth_day_month from agatti_people where agatti_people.u_name = "walter-pidgeon"
Shares birthday with Mickey Rooney, Albert Lewin, Paul Petersen see more.. 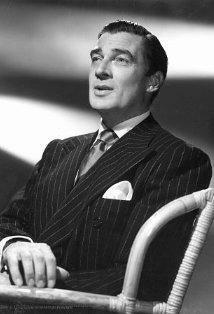 Legendary actor, Walter Pidgeon, was born Walter Davis Pigeon on Sep 23, 1897 in Saint John, Canada. 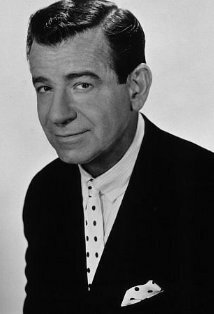 Pidgeon died at the age of 87 on Sep 25, 1984 in Santa Monica, CA . Walter Davis Pidgeon was born on September 23rd, 1897 in New Brunswick, Canada. His father, Caleb, owned a haberdashery while his mother, Hannah, stayed at home to look after the house. Because of his blue-collar upbringin, Pidgeon learned the meaning of hard work at an early age. By the time he was 13, the young Walter already worked two jobs. During the weekdays he found employment as a paperboy and on weekends he helped his father with the family business. He received his education from the local public schools where Pidgeon found he had a talent for singing. After graduating from high school Pidgeon attended the University of New Brunswick where he double majored in Law and Drama. After the outbreak of World War One, however, Walter halted his education to enlist in the Canadian Military. He was assigned to the 65th Battery but was severely injured before he saw any action. During basic training in France, Pidgeon slipped and became trapped between two gun carriages. He was then hospitalized for seventeen months. Upon his discharge from the Military, Pidgeon moved south to the United States and set up shop in Boston. He found work as a bank runner but also continued to pursuer his education and enrolled at the New England Conservatory of Music, becoming a classically trained Baritone. If his time at the Conservatory taught him one thing, it was that the banking world was not for him. He soon left banking institution and decided to follow his dream of becoming an entertainer. For the next few years Pidgeon would work to start his career as a singer. He moved to New York, finding mostly amateur Opera work. In 1921 he joined the Boston Light Opera Company. He toured with the company through out the United States and his homeland of Canada, appearing at the Imperial Theatre in Saint John as well as the Grand Theatre in Moncton. Pidgeon was eventually noticed by a pre-Hollywood Fred Astaire, who spotted the singer with a company in Boston. He then suggested Pidgeon to famed singer Elsie Janis, who was in need of a new entertainment partner. Soon, she arrived in Boston to hear the man sing and a new team was born. He spent the next few years touring the country with her and in 1925 made his Broadway debut in a revue directed by Janis titled Puzzles of 1925. 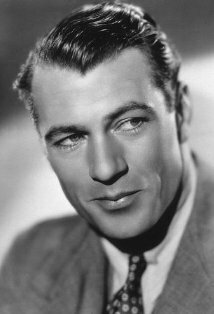 Although Pidgeon's talent as a singer weren't paramount to Hollywood due to the silent nature of films at the time, his immense good looks were. So, after Puzzles of 1925 Pidgeon board a train to California to listen to some offers. In 1926 he made his film debut opposite Alice Joyce and Warner Baxter in Mannequin. He continued to put his good looks to use for the next few years, appearing in films such as Old Loves and New, Miss Nobody, Sumuru and Woman Wise. While most actors feared the coming of sound as the death nail in their careers, Pidgeon embraced the new technology that would allow him to sing. In 1928 he made his talkie debut in the Universal picture Melody of Love. Soon he was appearing in some of Hollywood most lavish Technicolor musicals such as Bride of the Regiment, Viennese Nights, and The Hot Heiress. Despite his strong singing voice and good looks, Pidgeon was usually cast as a supporting with some of his songs not even making it to the final cut of the film. As musical began to fall out of vogue with the public, so did Pidgeon. 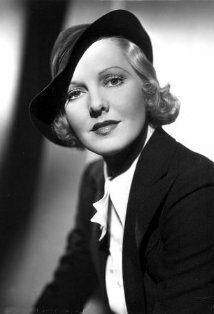 Now almost solely associated with musicals, Pidgeon felt little room for professional growth in Hollywood and decided to return east to New York in 1935. 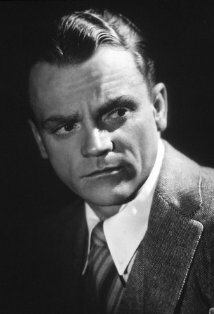 He returned to Broadway with the Adelaide Heilbron comedy Something Gay opposite the legendary Tallulah Bankhead. The play was hit and Pidgeon remained in New York to appear in another Broadway production, this time the Ayn Rand penned Night of January 16th. 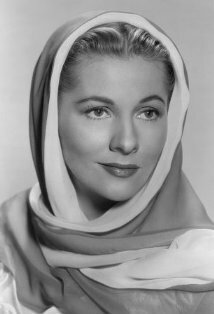 He appeared in one more Broadway comedy There's Wisdom in Women, before returning to Hollywood in 1936. Now back in the motion picture business, Pidgeon had escaped the trappings of musicals but was mostly relegated to supporting character in slew of second rate films such as Saratoga, A Girl with Ideas, and Too Hot to Handle. His career would follow that same trajectory for the rest of the decade. After years of playing second fiddle, Pidgeon would regain his popularity in 1941 when he starred in the John Ford family drama How Green was My Valley opposite Maureen O' Hara. The film was massive hit and went on to win the Best Picture Academy Award. Later that year he also starred opposite Greer Garson on Blossoms in the Dust. 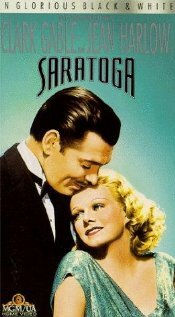 The film was hit as was the pairing and the two would go to star in seven more films together, making them one of MGM most popular duos of the 1940s. 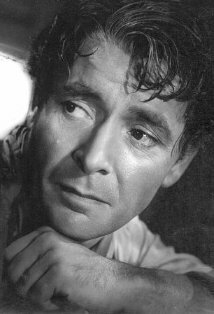 In 1942 he starred opposite Garson in the World War II civic propaganda piece, Mrs Miniver. 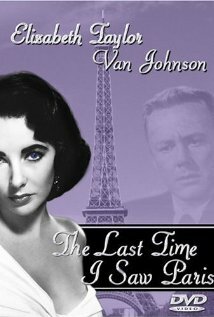 The film follows rural British House,wife Mrs. Miniver (Garson), as she and her family are forced to face the tragedies of war on the home front. Mrs. Miniver went on to be one of the biggest hits of 1942, raking in over 8 millions at the box-office. The film was also one of best reviewed of the year, ending up with 12 Oscar nominations including a Best Actor nomination for Pidgeon. Although he would not personally win that night, the film nonetheless walked away with the Best Picture, Best Director, Best Actress, Best Writing, and Best Supporting Actress Academy Awards. Pidgeon would continue his streak of hits opposite Garson with the 1943 biographical picture Madame Curie. The film starred Greer Garson as famed physicists Marie Curie as she begins her professional turn lifetime relationship with fellow scientist, Pierre Curie, played by Pidgeon. Again, the pair produced a hit for MGM studios, making over 4 million at the box office. The faired well with the critics as well, gaining seven Academy Award nominations including Best Picture, Best Actress and a Best Actor nomination for Pidgeon. Pidgeon's partnerships with Garson would continue through the 1940's with the films Mrs. Parkington, Julia Misbehaves, That Forsyte Woman, The Miniver Story and Scandal at Scourie. 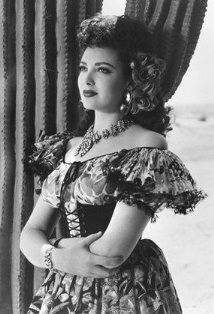 Pidgeon continued to play leading roles into the 1950s.However, as the American publics taste began to change, Pidgeon took more supporting roles. 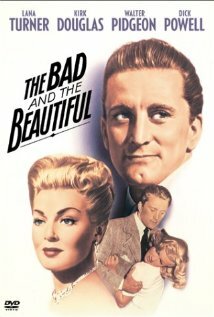 In 1952 he appeared opposite Lana Turner and Kirk Douglas in the bottom-line fixated studio head in Vincente Minnelli's show business drama The Bad and The Beautiful. In 1956 he took the leading role as Dr. Morbius in the science fiction breakthrough film Forbidden Planet. He then returned to New York to star in the Broadway play The Happiest Millionaire and continued to oscillate between Hollywood and Broadway for the rest of the decade. By the mid-1960's Pidgeon had moved mostly to medium of television, appearing on series such as Perry Mason, Breaking Point, and Burke's Law. He could still be seen on the big screen in films such as 1968's Funny Girl as legendary Florenz Ziegfeld but by the 1970s remained mostly in television or supporting roles in smaller movies. His final role was in 1978 with the Mae West Vehicle Sextte. He then quietly retired to his Santa Monica home where he lived with his wife, Ruth. Walter Pidgeon died on September 25th, 1984. He was 87 years old. Although Pidgeon was nominated for two Oscars, he never won a competitive Academy Award. Happy ’s Birthday, Movie Nerds! Wilbur Ashley: The natives have been looking at me lately, in a queer sort of way. Mr. Harry Witzel: Maybe they're wondering how you can walk without a spine. Commander John J. Adams: What is the Id? Dr. Edward Morbius: [frustrated] Id, Id, Id, Id, Id! Dr. Edward Morbius: It's a... It's an obsolete term. I'm afraid once used to describe the elementary basis of the subconscious mind. Commander John J. Adams: Monsters from the subconscious. Of course. That's what Doc meant. Morbius. The big machine, 8,000 miles of klystron relays, enough power for a whole population of creative geniuses, operated by remote control. Morbius, operated by the electromagnetic impulses of individual Krell brains. Dr. Edward Morbius: To what purpose? Commander John J. Adams: In return, that ultimate machine would instantaneously project solid matter to any point on the planet, In any shape or color they might imagine. For *any* purpose, Morbius! Creation by mere thought. Dr. Edward Morbius: Why haven't I seen this all along? Commander John J. Adams: But like you, the Krell forgot one deadly danger - their own subconscious hate and lust for destruction. Dr. Edward Morbius: The beast. The mindless primitive! Even the Krell must have evolved from that beginning. Commander John J. Adams: And so those mindless beasts of the subconscious had access to a machine that could never be shut down. The secret devil of every soul on the planet all set free at once to loot and maim. And take revenge, Morbius, and kill! Dr. Edward Morbius: My poor Krell. After a million years of shining sanity, they could hardly have understood what power was destroying them. Dr. Edward Morbius: Yes, young man, all very convincing, but for one obvious fallacy. The last Krell died 2,000 centuries ago. But today, as we all know, there is still at large on this planet a living monster. Commander John J. Adams: Your mind refuses to face the conclusion. Dr. Edward Morbius: What do you mean? Pidgeon ran off to join his brother, Don, in the Canadian Army, but his young age (16) was discovered, and he was sent back home. He eventually enlisted with the 65th Battery of the Royal Canadian Artillery, but he was injured during his training when he was crushed by two guns carriages at Camp Petawawa and he also caught pneumonia. As a result of these, he spent 17 months recovering at an army hospital in Toronto, having never been sent overseas. Biography in: "The Scribner Encyclopedia of American Lives". Volume One, 1981-1985, pages 640-642. New York: Charles Scribner's Sons, 1998. Fred Astaire heard him singing at a party while appearing with an amateur company in Boston and got him an agent. Walter was more interested in acting, however, and joined E.E. Clive's repertory stage company where he worked on his craft. Thanks also to Astaire, the deep baritone auditioned for and became the singing partner for singer/entertainer Elsie Janis which toured for six months in the mid-1920s. Pidgeon's first wife traveled with the company as an understudy for Janis.